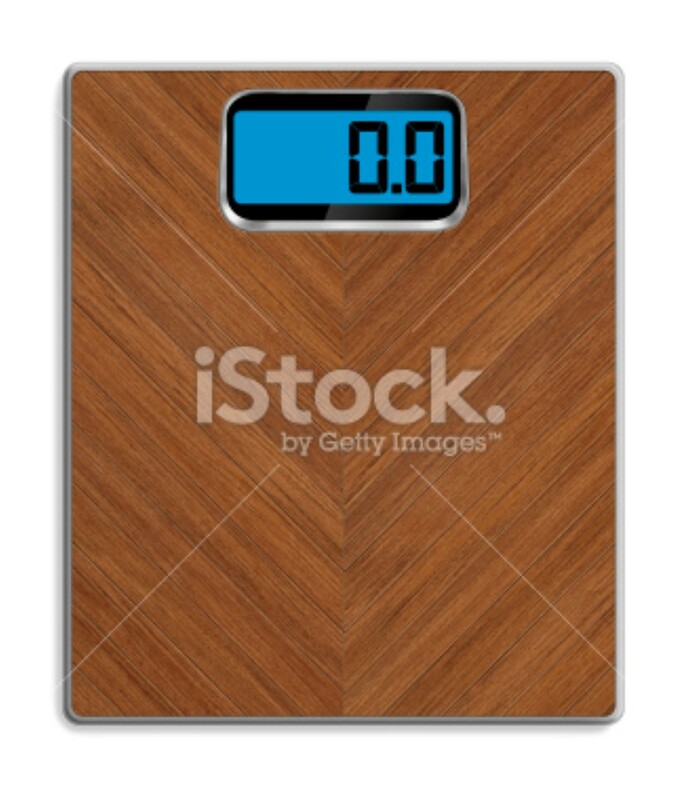 Digital bathroom scale with wooden textured mat and blue illuminated lcd display. Clean image and isolated on white background. Digitally generated image.